Hlavní stránka > Cizojazyčné knihy > Pro děti > Knihy pro děti > Hello, Love! How do animals show their love? By touching trunks, beaks, and noses! Toddlers will delight in adorable pairs of fish, ducklings, elephants, and monkeys as they splash, swim, dance, and swing, all while showing affection. 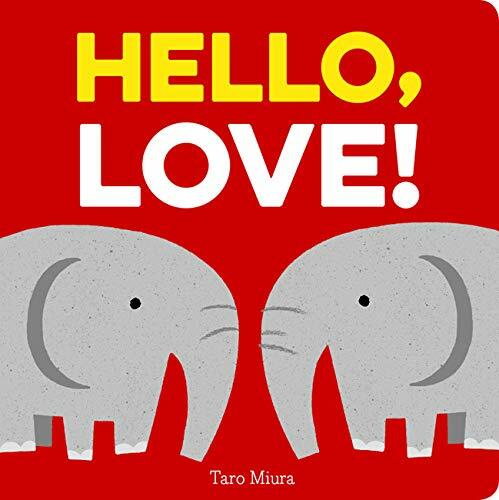 Author-illustrator Taro Miura brings a playfulness and verve to this love-affirming board book, which culminates in the ultimate celebration of love: a child embraced by loving parents. Taro Miura is an internationally renowned author. He lives in Tokyo, Japan.